We only have a few short weeks until baby number two should be making an appearance into the world and recently I’ve been getting myself organised. One of the most important things to organise when you're getting ready is your hospital bag. When I had Pickle I think I MAJORLY over packed so this time round I thought I’d share with you what I have packed and what you actually need. To make things even easier I’ve popped a list in this post to help! Firstly let’s talk about what I’ve packed for me. 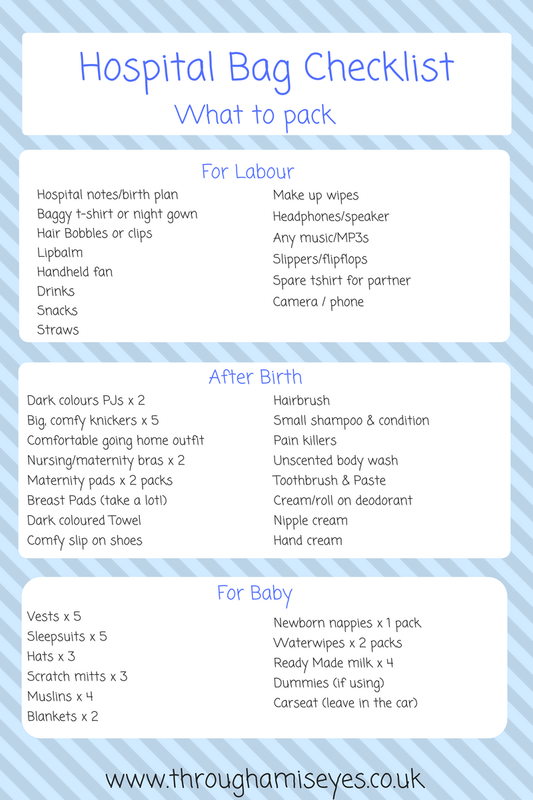 When packing to have a baby there are a few key things that I have learnt. Pack dark colours - once you had a baby you will bleed!! It’s like a really heavy period only heavier and no matter how hefty the maternity pads are that you pack your pants out with (it’s like wearing a nappy!) you most probably will leak as well so wear dark colours so it’s not too embarrassing. I have packed navy pjs, black leggings and a black nightdress too. I am in a serious nesting phase right now... I’m talking bleaching the cupboards, scrubbing the skirting boards and arranging, then rearranging the toy boxes. So when Marigold got in contact and asked if I’d like to review some of their cleaning essentials I jumped at the chance! Seeing as they are Marigold I thought I’d get a couple of pairs of rubber gloves because that’s all Marigold do right? WRONG!!! They do so much more than just gloves and I have been seriously impressed with their products range. That’s a pretty extensive list right?? Thanks to the box of goodies I now have something for every cleaning occasion! Cleaning the grill pan? Let me grab my “No more elbow grease” pad! Cleaning my stainless steel hob? My “cleaning me softly” non scratch scouter can do that for me no problems! The second thing I love about these products is that they are pretty much all reusable which really pleases the eco warrior in me! A couple of my favourite products from the box are the “Squeaky clean” cloth and the “Oops away” roll which are both reusable. The roll is almost like a kitchen roll type tool but unlike traditional kitchen roll it can be washed and used again whilst still being super absorbent and being able to quickly whip away spills. Thirdly, we need to talk about the price of these products! I seriously can’t believe that you can get such good quality and longevity for such a low price! The products all work amazingly (trust me... my nesting has meant I have extensively tested all of them!) and I would expect to pay 4 or 5 times what they actually cost. Overall I can’t recommend the Marigold products enough! If you’re in the market for some new cleaning supplies then I would really suggestion checking out their website - and getting yourself some goodies. For the last three years you have been my sole focus. Every cuddle, every kiss, every bit of maternal love was smothered onto you. In a few short weeks time there will be someone else that will share my heart and although they will share my love and many other things like my time and my attention, it doesn’t mean you will get any less. You will always be my little Pickle who came into the world and changed mine and your daddy’s life for the better. When you were born you showed us how deep love can really be. You showed us how we can be truly and utterly selfless and how ferociously protective we could be. As a baby, you gave me just as much light and love as I gave you. Your great grandfather had been diagnosed with cancer and I was a mess. When he passed away you were my comfort. When your other great grandfather passed away 4 short months after you were my comfort again and when we lost your great nanny 5 months after that it was you that was a shining light. You may have been less than a year old but you will never understand the light, love and hope your brought to not only my life but to all of your family. As you have grown from a squishy little bubba to a funny, caring, senstaive little boy I have needed you just as much. You have brought so much joy to mine and Daddy’s life and you make even the smallest and most regular of days an adventure. If I have ever had a bad day I know that you are there with a cuddle and something silly to say to cheer me up. I love this about you and I hope it never changes. Daddy and I decided to have another child for a number of reasons but one of which was you. You are such a chatty, caring and playful little boy that it felt unfair for you to grow up on your own. You are so caring when it comes to other children and especially those younger than you that we just knew that you would make an amazing big brother and so far you have proved us right. Even though you haven’t met your little brother yet, you love him so much. When he starts kicking in my belly you get so excited and the whole world has to stop so you can feel the kicks. You put your brother first already and always want to know if he is okay in my belly. Soon he will be here. A little tiny baby that we have to look after and raise and I know you will be the best. You already help me so much and half the time you don’t even know. Not once have you ever moaned or thrown a strop because I’ve asked you to do something to help or because I haven’t been able to do something with you. You have just got on with things and I am so grateful to you for making this pregnancy so easy on me. You have no idea how helpful and easy you have been in the last 8 months but it is once again just a display of how amazing you are. So I hope your not scared. I hope your not nervous or worried. The baby coming will change things. Nights will be interrupted, our house will be louder and busier, I will have someone else that I will have to give my attention and love to but I need you to know that will not mean I will love you any less. You are my first born and the love I have for you will always be monumental. You taught me how to be a mother. When the baby comes along my heart will just get bigger rather than my love be shared. You are going to be the best big brother in the world and although at time it’s won’t be easy, know that I will always be here no matter how busy, tired or frazzled I look. My arms are always open and my kisses always ready to give. The summer seems to have finally arrived which mean its time to crack out that summer wardrobe! The sunny season is definitely my favour season for dressing Pickle as I love all of the boys clothes that come out at summer so I thought I’d share with you my top tips for dressing kids this summer! Remember being a kid and your mum saying you couldn’t wear the pretty summer dress or shirt as it was for “best”? Well now is the time to become one of those mums. We have a few parties and “doos” coming up so that will require Pickle to wear something other than jogger bottom shorts and a Primark tee so he ha a couple of nice outfits that are kept for best. These type of outfits don’t have to break the bank though! Kids grow so quickly that there isn’t much point in spending loads of money on nice clothes for them. Keep an eye out on discount code website such as Groupon for some great deals. They currently have some top White Company deals meaning you can get some super cute clothes for a great price! If your little man is anything like mine then practicality is key when it comes to dressing them in summer. Pickle spends 90% of his waking time in the garden (I’m sure it would be 100% if I let him!) which means he is constantly covered in mud or sand or suncream. The last thing us mums want is to be trying to get grass stains off of white linen shorts after an afternoon of football kicking so my tip is to dress practical. Jersey shirts in plain colours, cheap and cheerful t-shirts that don’t matter if they get stained and comfy garden shoes that can get wet and muddy. 3. Invest in a good stain remover! Leading on from my last point, a great stain remover is a MUST! I use Vanish gold as it’s the only thing I’ve found that gets out almost anything! It’s not particularly cheap but it’s worth while investing in as it makes clothes last so much longer. So there you have it! My top tips for dressing kids this summer. Think I’ve missed anything out? Let me know in the comments. Remember how I wrote recently about how I was terrified of giving birth this time round? 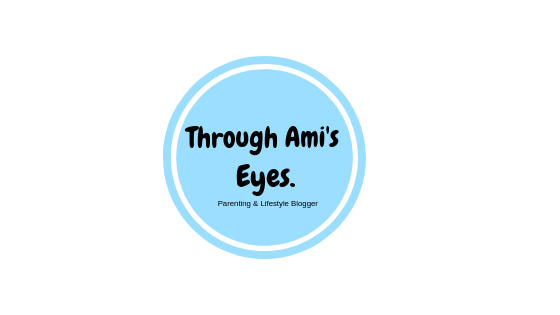 If you need a reminder then you can find the post here but I basically wrote about how I felt like when I had Pickle I didn't actually experience birth and labour because I was induced and had an epidural. I also felt that this time round I didn't want to be in hospital for ages like I was with Pickle because he will be at home waiting for me and I will just want to get back to him. Well...I am pleased to say that all of my worries have now gone and my head is in a TOTALLY different space now all thanks to one person. Keri from Do it like a Mother Hypnobirthing. 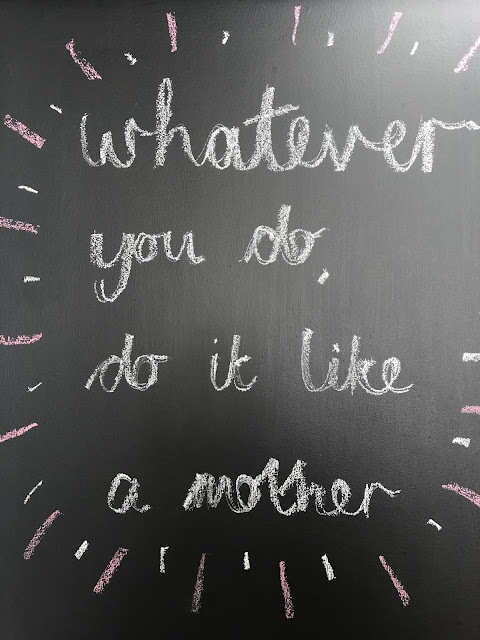 Hubby and I headed off to her two day Hypnobirthing course a couple of weekends ago and I am going to try my hardest to explain just how fantastic and worth while the 2 days were. But, before I start, lets talk about the preconceptions about hypnobirthing. If you are anything like my husband then you might think that hypnobirthing is all about meditating, incense sticks and holding hands in a circle (he is a HUGE sceptic about things like this). For me, I thought that hypnobirthing was about trying to get a 'pain free' birth and not using medical intervention or pain relief etc. I had tried to read a couple of hypnobirthing books when I was pregnant with Pickle but I hadn't really got on board with it as it seemed like the main focus of the books I had read were all about having ZERO pain relief. It turns out that Hubby and I were both very wrong! !